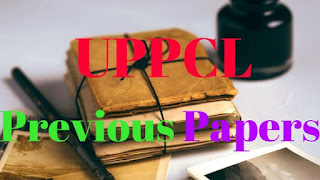 Download UPPCL Previous Cancelled Paper in February 2018: Dear friends here you will get all the collection of papers of UPPCL previous papers. So if you are searching for UPPCL Assistant Reviewing Officer (ARO), UPPCL Office Assistant III Accounts, UPPCL Stenographer Grade-III, UPPCL Office Assistant Grade-3 then you are at the right place. It is well known that the UPPCL Assistant Reviewing Officer (ARO) Latest exam going to be held on 13 September 2018 and 15 September 2018.